The sentiment currently surrounding gold – the price of which has fallen 6% this year – can be described as “maximum pessimism,” notes the author of today’s article – and that may mean the timing is perfect for contrarian investors. 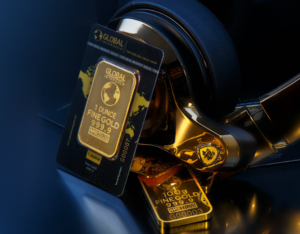 The author proceeds to outline a number of reasons to own gold now and highlights his preferred vehicle for doing so – a fund that allows shareholders to convert their shares into physical gold at any time. CLICK HERE.